I can picture it now, the warm breeze filtering in through the valley over the hills and up to the villa. The Italian cypress trees block some of the warm sun as it slowly sets. 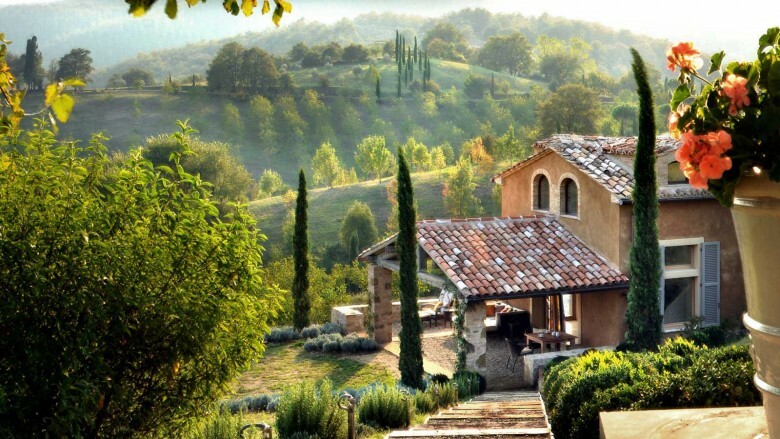 After a long day lounging on the patio over looking the vineyards with a glass of Barbera makes the rest of the world melt away as you drift into your own thoughts. 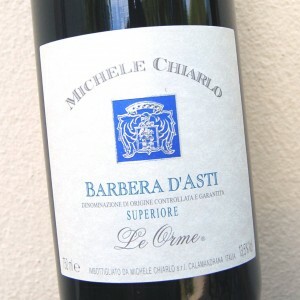 One of my first and favorite Barbera’s is Barbera D’Asti Le Orme from Michele Chiarlo 2009. Barbera D’Asti mainly grows in the Provence of Asti of Italy which is part of Piedmont. The Piedmont region is well known for the wines created from the grapes grown in the region including Barberesco, Nebbiolo, Barolo and a few more. Barbara being one of them. Asti is also known for the sparkling wines. According to the DOCG (Denominazione di origine controllata (“Controlled designation of origin”)) of Italy Barbera D’asti must be comprised of 85% Barbera grape variety and the rest can be of Freisa, Grignolino or Dolcetto variety. The wine must be made by March 1 immediately following the harvest of the grapes. Barbera may not have a high alcohol content but it sure makes up for that with the complexity and uniqueness. Barbera is usually aged in oak and chestnut barrels to produce that smooth tannin and roundness for 1.5 years before it can be bottled. If the wine is classified as a superior it can cellar for 20 years! Using the best grapes from the harvest. This was a lighter style in my opinion. I would say a medium bodied wine. So delicious though. Smooth tannins made this truly enjoyable with a hint of Oak at the end. This was not an overly complicated wine but great for enjoying on the patio during one of the last warm evenings of summer as the chill slowly creeps into the evening. Great with dark chocolate too.